and his room number was 120. Dig the crucifix. On the last day of his life, they filmed for long hours in stifling heat. Filming stopped around 10 PM, when John decided to have dinner. Candy had spaghetti for his last meal. At 11o’clock, he decided to take a shower. That was the last time anyone saw him. This video shows John’s last moments at work. The next morning at 8, his bodyguard, Gustavo Populus phoned the house, but there was no reply. 15 minutes later, he let himself in. 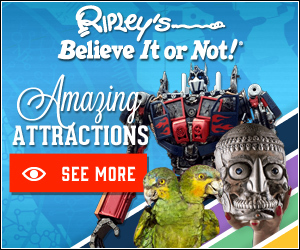 In the bedroom, half in and half out of bed, he found John Candy. He was wearing a long red and black checked nightshirt. 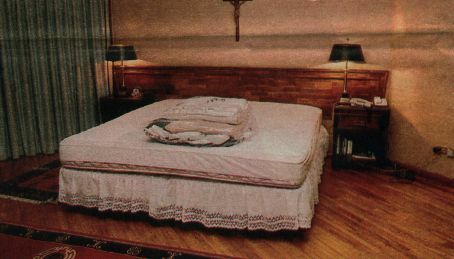 It was obvious that he was dead, and there were no signs of drugs or alcohol in the room. A doctor was called, and at 9 AM, he was pronounced officially dead. 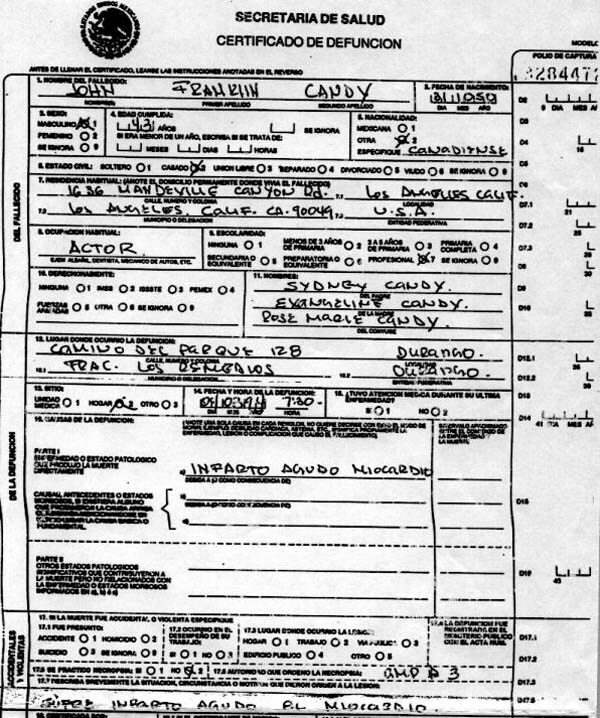 It was decided that Candy had suffered a massive heart attack in his sleep. 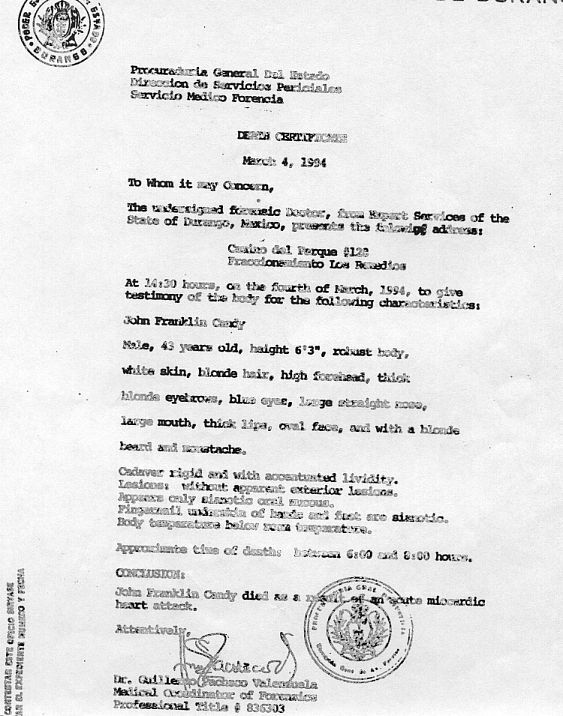 It was March 4, 1994. 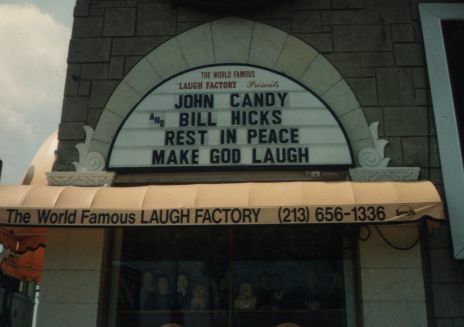 Upon hearing of Candy’s death, the Laugh Factory (one of his usual stomping grounds) showed their respect. Trivia: The Laugh Factory used to be Groucho Marx’s office and according to some staff, still haunts it. His wife begged that an autopsy not be performed, and his body remained in the bed until 4 PM, when an ambulance removed it. He was put in a body bag, and four people had to load him up, onto the jet back home. 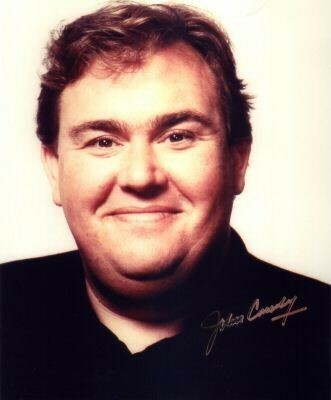 John Candy’s funeral took place on Wednesday, March 9th, at St. Martin of the Tours church, in Brentwood, California. 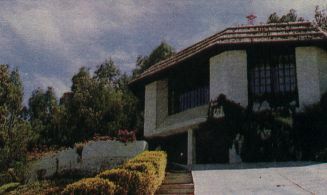 Nicole Simpson’s church. Dan Aykroyd delivered the eulogy, and mourners included Chevy Chase, Tom Hanks, Rick Moranis, Jim Belushi, Martin Short, George Wendt, Rhea Perlman, Bill Murray, and Ed Harris, along with John’s widow Rosemary, and his two kids. 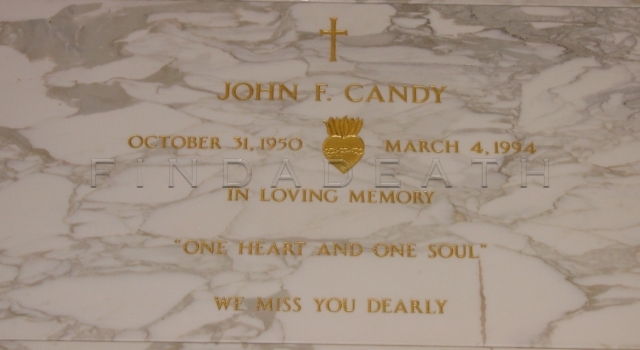 Candy is interred at Holy Cross Cemetery, in Culver City, California. They finally marked his grave. 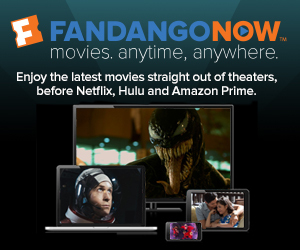 He is two spaces above Fred MacMurray.